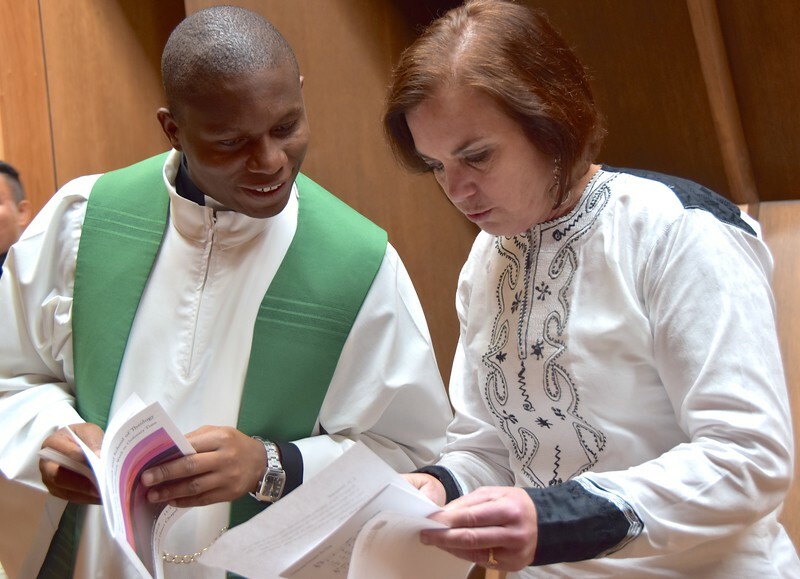 The October 3 Mass at Sacred Heart Seminary and School of Theology highlighted many of the cultures and languages represented in the ESL program. The main celebrant was Fr. Tomasz Flak, an SCJ priest from Poland; he was assisted by Dn. Miguel Perez of the diocese of El Paso (he is originally from Colombia). The entrance hymn was written by a Brazilian SCJ priest, Fr. Zezinho.